Sound Sensitivity In Adults With Asperger's Syndrome | Kenneth Roberson, Ph.D.
One of the characteristics of Asperger’s syndrome in adults is hyper- and hyposensitivity to sound. Some people consider sound sensitivity to be more of a problem for them than other difficulties common to Asperger’s, such as socializing, communicating with others, and managing work. Unfortunately, sound sensitivity is often treated as a minor aggravation by those without Asperger’s rather than the intensely difficult and sometimes acutely distressing hardship it can be for someone with Asperger’s. 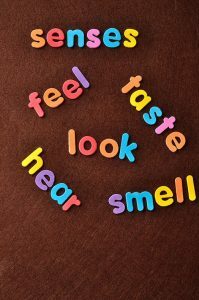 The most common auditory sensitivity is to very specific sounds. These sounds are grouped into three categories. The first category is sudden, unexpected, and unwelcomed noises, such as a crying baby, a car with screechy brakes, a dog barking, or a telephone ringing. The second category is high-pitched, continuous noises such those produced by a vacuum cleaner, electric motor, airplane engine or even fluorescent lighting. The third category is confusing, complex or multiple sounds like those experienced in a department store, a crowded room, airport terminal, or busy city street. Fluctuate between hyper- and hyposensitivity to the same noise. On some days, for example, the same sound can feel unbearably intense and the next day be annoying but tolerable. Suddenly tune out a sound and then hear the same sound the next moment. Have difficulty hearing sounds when another sensory channel, e.g. touch or smell, is active at the same time. Suddenly see certain colors or experience certain tastes immediately upon hearing certain noises. Have trouble determining where a certain sound is coming from. What Causes Sound Sensitivity in Adults With Asperger’s? Surprisingly, research shows that the hearing of adults with Asperger’s is physiologically the same as their typical peers. There are no known differences in the peripheral or central auditory systems of individuals with Asperger’s that would result in hypo- or hypersensitivity to sound. One explanation for sound sensitivity is that what appears to be an auditory or hearing-based disorder is actually a problem of association. A specific sound occurred early in one’s life at the same time as a negative emotional reaction, like anger, sadness, or fear. That same sound later in life then provokes the corresponding emotional reaction. An alternative theory is that Asperger’s interferes with the proper function of the nervous system, causing one’s brain to misinterpret auditory information even though one’s hearing is normal. The loudness, tone, pitch and/or duration of a sound is changed in the brain causing the person to experience that sound much more, or much less, intensely than is actually the case. A simple, although sometimes impractical, solution to sound sensitivity is to avoid those noises that lead to painful auditory experiences. Another is to understand the specific emotions certain sounds produce and by doing so gain control over automatic auditory responses. Studies have shown that certain food additives and household chemicals can trigger or exacerbate neurological conditions. Many adults with Asperger’s have found great relief from removing these chemicals from their diet and immediate surroundings. Some people have found that hypnotherapy with a certified hypnotherapist can help ease the symptoms of sound sensitivity, through the proven power of suggestion. Others find noise-canceling headphones helpful. Distracting oneself by directing attention away from the problematic noise is another useful technique. Auditory Integration Therapy (AIT) is sometimes suggested to people with noise sensitivity. Whatever strategies one might use to cope with sound sensitivity, it is almost always the case that people with Asperger’s appreciate being treated with respect and understanding, as they cope with the difficulties of this particular challenge.